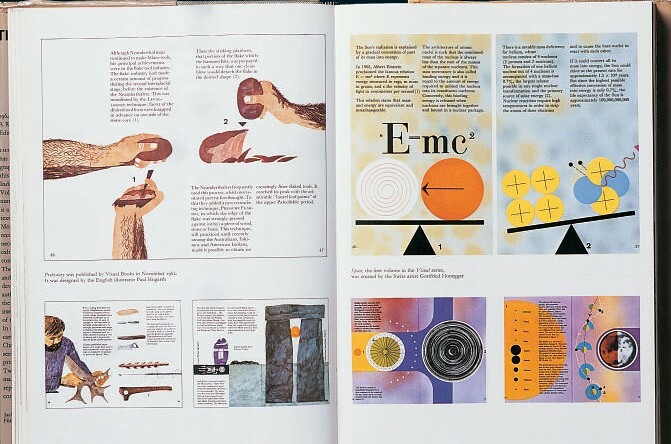 The Penrose Annual was a one-off, in every sense. Its design and production needed to be planned with military precision; it was a complex and demanding publication that drew on, and demonstrated in its pages and inserts, every innovative technique, material and idea that had emerged in the course of the previous year. Sections to be bound in would arrive throughout the year from printers all over the world. There were tip-ins, fold-outs, different paper stocks, inks, artwork and processes to dissect and present, and advertising copy that more often than not needed binding in separately. And as a showcase not only for the printers themselves but the whole international industry, it had to be immaculately presented, printed and bound. A small staff spent the entire twelve months planning, compiling and producing it; and the printers, who were also its publishers, Percy Lund, Humphries & Co, would dovetail its production into their normal schedule. At the same time, as the concept progressed and developed throughout the twentieth century, Penrose spent less time dissecting the past in order to balance mature reflection with speculation about the future of an industry in a constant technological ferment. It is only now, nearly a quarter of a century since its demise, that it has acquired the veneer of nostalgia. Experimental processes, once painstakingly described and beautifully presented, have now been abandoned and largely forgotten, or have passed into the mainstream. 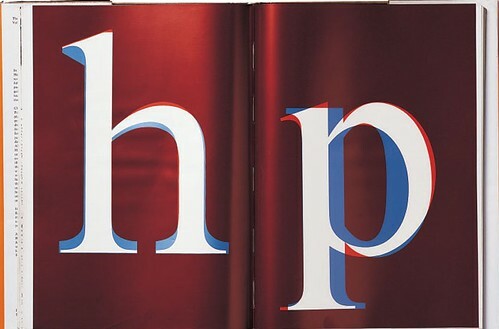 Penrose went through a number of phases and sizes from its modest beginnings in 1895 as Process Work Yearbook – Penrose’s Annual, its original title. Lund Humphries printed it from 1897, and acquired the title and took over publication in 1906. It appeared each spring, with gaps only during the war years, and remained profitable well into the 1960s. In its heyday – which lasted several decades – the industry would eagerly await its appearance and make investment decisions largely on what Penrose advised. Each issue would sell around 10,000 copies: Japan took 800, there were agents selling it worldwide, and it was published separately in the US by Hastings House. It attracted significant advertising revenue. Looking at the substantial shelf space the complete run occupies, the boom years are obvious from the sheer size of the books. The final issues are almost half the weight of those in the 1950s and 1960s, and even the name was trimmed to Penrose: they could no longer guarantee its annual appearance. 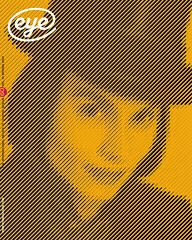 The rapid growth during the 1960s of weekly and monthly magazines dealing with print, design and graphics ate into Penrose’s near monopoly of information and advice; the economic and industrial disasters of the 1970s – the three-day week, inflation, devaluation of the pound – all conspired to shake the publisher’s confidence in its future. ‘So gradually the circulation fell off and costs increased,’ recalls John Taylor, Penrose’s publications manager in the 1960s, originally hired as assistant to the then 80-year-old Bruno Schindler, a scholarly German émigré. ‘It got to the point where it was not losing a great deal of money, but it was not making it either. But because of this tremendous sentimental affection for it, having been associated with it for 60 odd years, it would have been very difficult for the company to close it or find another home for it.’ But out of the blue Northwood, part of the Thomson organisation, offered to buy the title, and give Lund Humphries a five-year contract to continue printing it. For most of its existence – the Lund Humphries years – there were just four editors: the first two, William Gamble and Fishenden taking it between them from 1895 to 1957, and both, incidentally, dying in office. Allan Delafons edited it from 1958-62 and Herbert Spencer guided it through the latter days of its major phase of existence, as editor from 1964-73. Penrose had started life as a glorified catalogue. A. W. Penrose was a chemist who met William Gamble, a journalist interested in the impact of photography on printing in what were still pioneering times. Concerned at the difficulties in obtaining processing chemicals they started a supply company together, and were soon producing and supplying the trade with a wide variety of materials and machines. The annual was a natural progression: ‘An Illustrated Review of all Photo-mechanical Processes’. Lund Humphries were also pioneers: the first Monotype machines were installed in their Bradford works in 1904: ‘The mechanism,’ wrote William Gamble, ‘is a marvellous example of mechanical skill and accuracy, which never fails to excite the onlooker … it must immensely influence the future of letterpress printing.’ It soon became a policy to try out each of Monotype’s new types in Penrose. But these were still times when the printing trade was a closed shop with the most rigid demarcation of skills. Any more than a passing interest in the detail of other trades was anathema to printing and graphical unions. These barriers started to break down quite possibly with the universal availability of Letraset which helped democratise the ability to produce professional letterforms. The process was completed by (in no particular order) photocopying, desktop publishing, the personal computer, Photoshop, digital photography, and somewhere in that mix Margaret Thatcher’s crusade against organised labour. 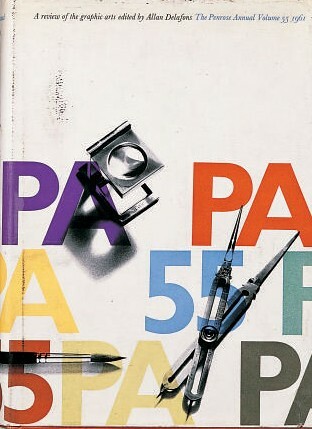 There is no small irony in the fact that the greatest changes – a true revolution in printing, design and publishing – happened without the guiding hand and ‘mature reflection’ of the Penrose Annual, which foresaw most things, but could never have anticipated such speed and profundity of change over little more than a decade. Today Penrose remains an important publication, as it was during almost 90 years of its existence. ‘Its importance then,’ says Nigel Roche, ‘was largely as a link between disparate areas of the trade. Its importance today is in the seminal articles that it published that still have reference value: monographs on individuals; articles on various matters of typesetting. In a world that was suddenly discovering air travel and international communications, Penrose was already showing an interest in printing in foreign languages: there’s a 1956 article on printing in Chinese and Japanese. In 1956 there were very few people in this country who would know anything about printing in Chinese. Printing on corrugated cardboard was absolutely astounding in 1964. It was all part of a new world and people were genuinely interested. So the significance has altered over time. There are a lot of copies being read here: it’s still in considerable demand.’ Today there is nothing like it. Similar ventures in continental Europe have also closed. There was the German version, the catchily titled Klimschs Jahrbuch des graphischen Gewerbes, technische Abhandlungen und Berichte über Neuheiten aus dem Gesamtgebiet der graphischen Künst, which re-emerged after World War ii as Polygraph. In France there was the Bulletin Officiel (Union Syndicale et Fédération des Maîtres Imprimeurs de France) which eventually became the Christmas edition of Caractères. And in the Netherlands there was the Drukkersweekblad Kerstnummer, again a Christmas compilation. Nevertheless, for almost a century Penrose trod a delicate and difficult path balancing supposed contradictory elements: art and commerce; art and science; machine technology and handcrafting. It foreshadowed and predicted the way the industry operates today, and in fact the way we all work now – with the easy access of the home enthusiast to techniques and equipment previously the strict and jealously guarded confines of the professional tradesman. The Penrose Annual quietly lives on, and presents to us now in its pages a wonderful evocation of the look and feel of almost the entire twentieth century. The author and editor gratefully acknowledge the invaluable and unstinting help of Clive Goodacre, Nigel Roche, John Taylor and the St Bride Institute Library.